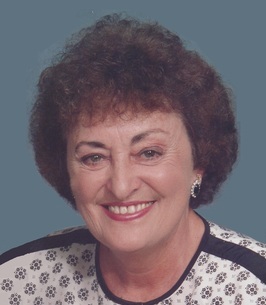 Evelyn “Babe”, “Ev” (Burt) Bernier, age 85 of Seymour, beloved wife of Lucien “Lou” Bernier, entered peaceful rest on Wednesday, May 30, 2018 in Griffin Hospital. Born in Oxford on January 3, 1933, she was the daughter of the late George and Nellie (Finkle) Burt. Babe loved crocheting, knitting with her sisters and traveling. A snowbird, she spent many winters on the beach in Florida. She will be remembered for her kind heart and deep love of family, especially her grandchildren. In addition to her husband of 58 years, survivors include her loving daughter, Lynn Patafio and her husband John of Beacon Falls; 3 cherished grandchildren, Jessica Walsh, Daniel Walsh and Michelle Bernier, as well as many nieces and nephews. She was predeceased by her son, Kevin Bernier, 6 brothers and 5 sisters. To send flowers to the family of Evelyn ""Babe", "Ev"" Bernier (Burt), please visit our Heartfelt Sympathies Store. Lou, We wish we could console and be with you during the very sad loss of your beloved Ev. Ev was a blessing and always showed her love and concern to us her extended family. We will keep her in our prayers. Love, Lil, Jim and family. Lou and Family: My thoughts and prayers are with all of you. Babe was such a wonderful and kind person. She will forever be an angel watching over all of you. She will truly be missed. Prayers and God Bless.